If you are searching for a truly unique rum, look no further. Pyrat Rums are known for their distinct taste and superior quality and these aged rums are definitely something for the rum lover to explore. 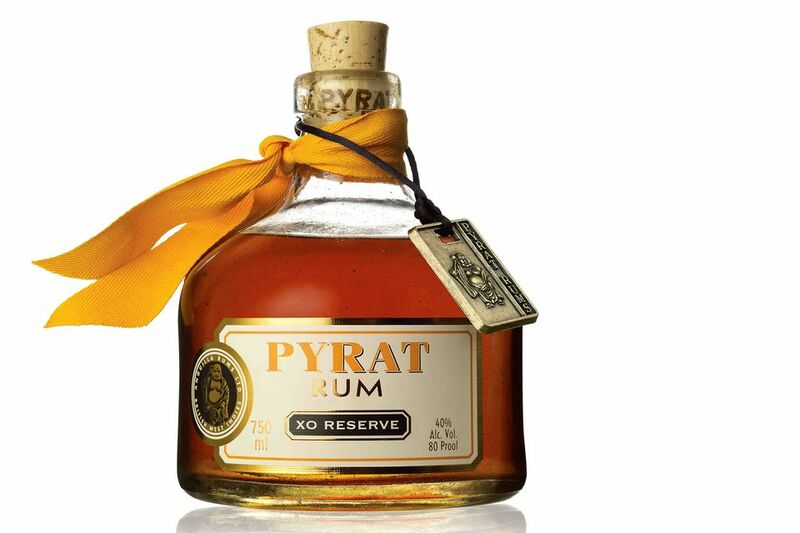 Enjoy the rums under the Pyrat label on their own or in your favorite rum cocktail. Either way, you have set yourself up for a great drink. The Pyrat brand is owned by Patrón Spirits and gets its name from the Old English word for pirate. The stout bottle of the XO Reserve is also a tribute to this heritage. The rums are a blend of select pot still rums sourced throughout the Caribbean. Many of the rums are around 15 years old and some are created in a miraculously long-living wood still that has been running rum for 300 years. Once blended, the rum is aged further in French Limousin and toasted American oak barrels. This seems like an excessive amount of aging given the Caribbean climate which speeds aging, but that is likely the reason behind the exceptional taste found in Pyrat. What you can expect from any of the Pyrat rums is an ultra-smooth taste from beginning to end in Cask 1623 and a very fine mixing rum in XO Reserve. Pyrat also produces Pyrat Pistol, which is similar to the XO. On another note, there are reports that the Pyrat recipes changed late in the 2000s and many people who enjoyed it prior to this switch have been disappointed with the new version. The following reviews are based on the bottlings available in 2012. Pyrat XO Reserve is a nice mixing rum. While many people do not prefer it when served neat, as soon as it is mixed into a drink—even if that is just a rum and Coke—it becomes a very enjoyable rum. If you want to check out the unique taste of Pyrat, this is the place to begin because a bottle can be found for right around $25. The next step is to give the refined Pyrat Cask 1623 a try. Tasting notes: This is a rum that cannot be missed and everyone in the room when you pop the cork will be aware of its impending pour. The permeating aroma is marked with airy citrus, vanilla, and cinnamon and these notes follow through to the finish. On the palate, this rum is captivating and dominating. The finish has a slightly warm bite with a smooth finish. Pyrat Cask 1623 is a blend of rums that run between 20 and 40 years in the barrel, making this the well-aged counterpart to XO Reserve. It carries the same flavor profile, though is decidedly more refined and is similar to a fine Cognac. The price reflects that comparison and a bottle of Pyrat Cask 1623 will run you around $289. As with most spirits of this expense, this one is best served neat or on the rocks. It is a sipping rum, that is for sure. Curious about the date on the label? According to the company, they felt that the year that rum production began in the Caribbean was appropriate for this diversely sourced aged rum. Tasting notes: This is an astonishing rum with notes of sweet honey and fruit - notably warm, snappy citrus - that flow throughout the drinking experience. From the perfumatory aroma to the velvety smooth finish, it is a lovely, full-flavored rum. Pyrat XO does make some fantastic cocktails and you will be happy to pour it into any of your favorites. It makes a splash in classic tiki cocktails and is a delight in any Daiquiri you want to shake or blend up. The Irish Encounter: Bananas anyone? This fun take on the banana daiquiri adds a little Irish cream into the mix. Pyrat Summer Tea: It's like an enhanced rum & Coke, complete with orange liqueur and sour mix.